Accounts from the Front, 1917 is an exhibition of letters and memoirs written in 1917 by members of the Albert Park and South Melbourne Rowing Clubs who enlisted during World War One. The exhibition explores who these members were, what they experienced and how their absence affected the club. Descendants of our enlistees are welcome to attend opening night for a special viewing, but should RSVP to apsmrcheritage@outlook.com. Photos of the exhibition can be found on our Photos page. 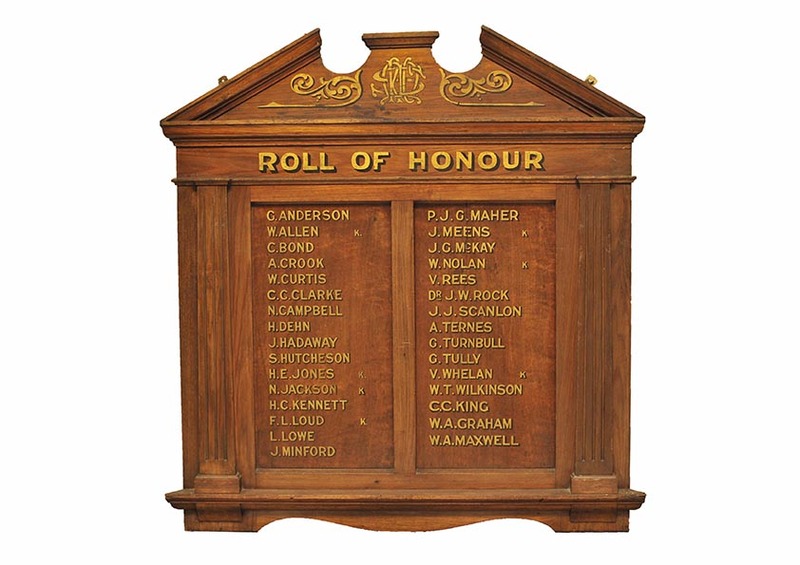 For further information about our enlistees, please visit our Honour Rolls page. For further information about our opening times, please visit our Events page. If you would like to provide us with some feedback about this exhibition, please click here.